“What Happened and What’s Going On” starts with Maggie and Noah sobbing, and a funeral. 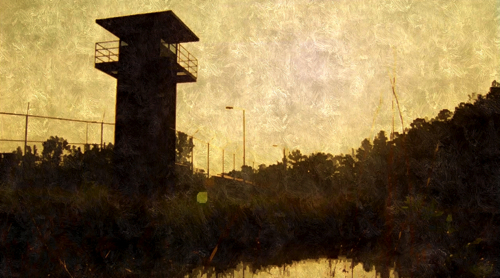 Noah tells Rick that Beth was going to go with him back to his home in Richmond, where he believes his family is living in a walled community. Rick tells the others that they will bring Noah back home. We are reminded of the story Tyreese tells Sasha in “Coda,” about how she used to follow him around. Waxing philosophic through storytelling seems to be Tyreese’s thing, which is unusual in a world where people generally talk so little. They arrive at the walled community in Richmond, parking by some cars in the woods. They walk up to the gate. It’s pretty quiet. Suspiciously quiet. Glenn looks over the wall, and his face tells it all. Noah climbs over to find his home community brutally destroyed. It’s devastating to Noah, but also disturbing to the others. Michonne seems way more perturbed than we have ever seen her. She usually has veins of ice, but she seems genuinely disturbed to find Noah’s Richmond community destroyed. 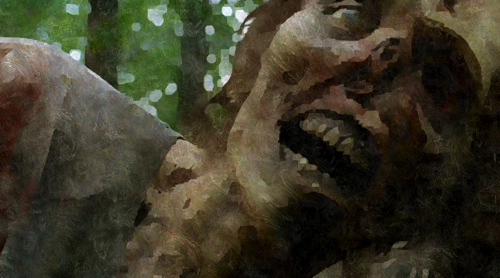 Hope can be a dangerous thing in The Walking Dead world. When Rick asks Glenn if he thought the community would‘ve still been intact, Glenn responds in a surprised voice, “Did you?” Perhaps Glenn was more realistic after having his dreams so recently crushed by Eugene’s admission that he doesn’t have a cure. Rick talks about how he wanted to kill Dawn even though he knew she didn’t mean to kill Beth. This admission doesn’t seem surprising since Rick is becoming increasingly violent, but also because everybody wanted to kill Dawn, even the people from the hospital. 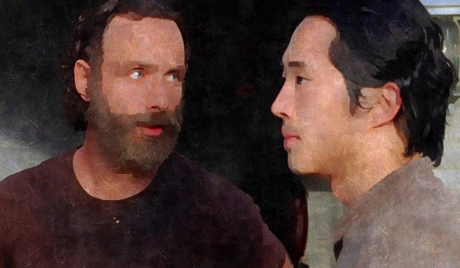 Rick tells Glenn that he wanted to get Noah home for Beth, but he had hoped it could’ve been a home for them too. Later in the episode Glenn expresses his own concern about his changing moral compass. Glenn still seems pretty compassionate to us, but we will take his word for it. 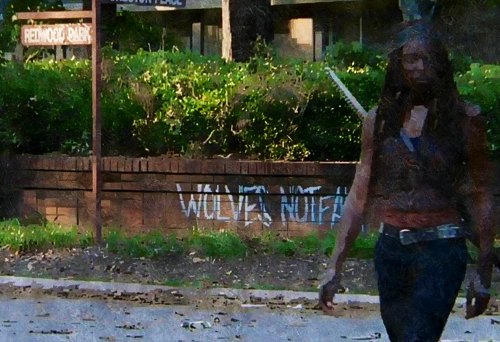 Michonne tells them, “We need to stop.” She argues for staying there and rebuilding the community. Meanwhile Tyreese has stayed by the gate to keep an eye on Noah. He tries to comfort the distraught Noah by sharing more of his morality lessons. Tyreese tells Noah that if he hadn’t chosen to live, even though he wanted to die, that he wouldn’t have been there when Judith needed him. He tells Noah, “This isn’t the end.” When someone has just found out his whole family is dead, it doesn’t seem like the time to imply that everything happens for a reason. 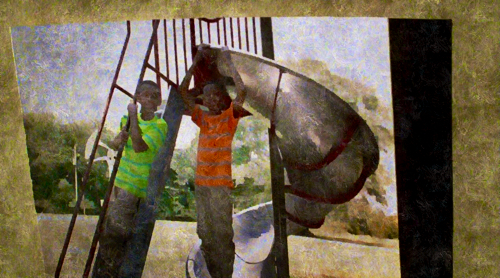 Tyreese’s story doesn’t go as he expected, because Noah gets up and runs off. Tyreese chases him, and finds Noah standing outside of his family’s house. Tyreese warns him that he shouldn’t go in. Of course, anyone would want to go in, hoping vainly that their family was alive, looking for some sign of hope. Tyreese goes in with him. Noah finds his mother dead in the living room. Tyreese hears the sounds of a walker and checks out the bedrooms. He sees a walker is trapped in one of the bedrooms. When he walks into another bedroom, he sees one of Noah’s dead twin brothers lying on the bed. Tyreese becomes overwrought when he sees pictures of Noah’s twin brothers. As emotion overtakes Tyreese, the other twin brother comes into the room and bites him on the arm. Noah arrives to kill his walker brother. 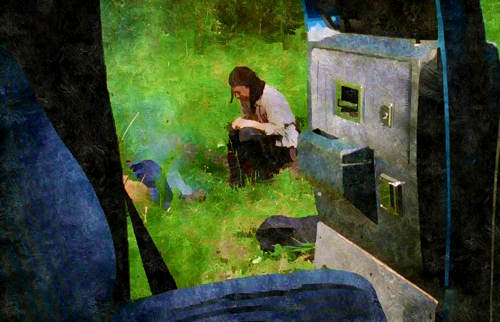 He tells Tyreese he will go get help and runs off, again. 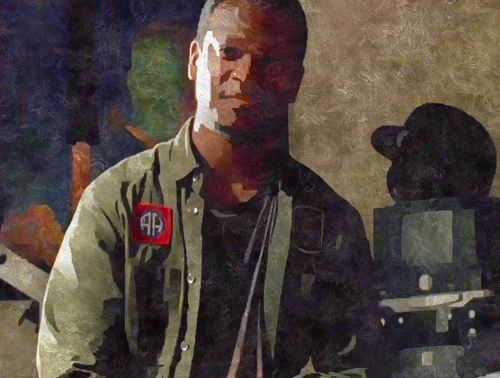 Tyreese sits cradling his bitten arm. We hear the voices of a news broadcaster on the radio, talking about violence and slaughter in some far off country. It is the voice of Andrew Lincoln, but without his American accent. 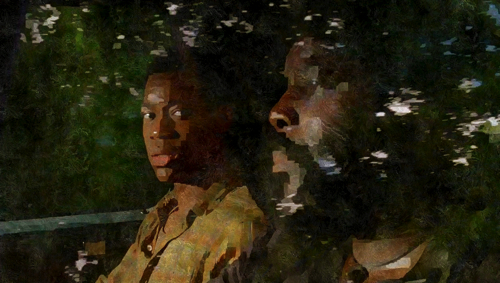 Tyreese’s hallucinations continue as he receives visits from the dead. Terminus Martin tries to tell him his mistakes killed Beth and Bob, but Bob shows up and disputes this. 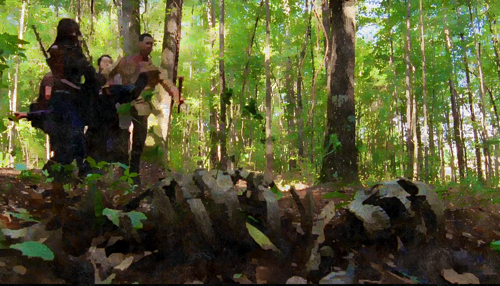 Then the Governor appears, reminding Tyreese that he said he’d do what he had to do to earn his keep. 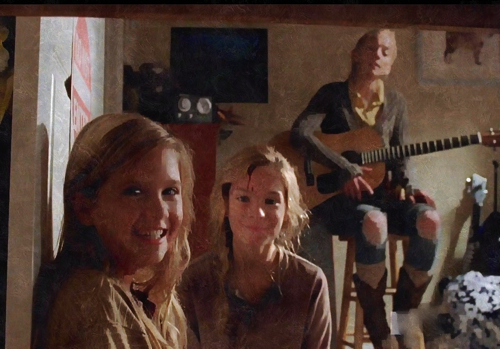 Lizzie and Mika arrive, and Lizzie assures Tyreese that it’s better now. Tyreese’s hallucination is interrupted when the walker who’d been trapped in the bedroom shows up. 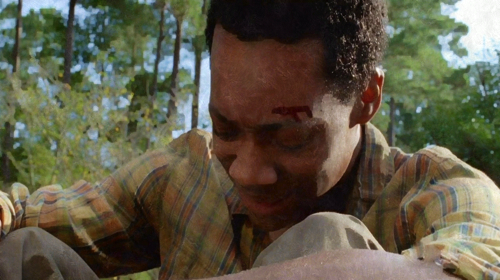 Tyreese manages to fight it off—showing that he has not given up the will to live just yet. 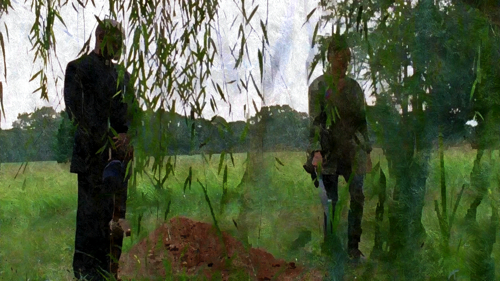 Meanwhile, Michonne, Rick, and Glenn are walking around the devastated community. It becomes clear that it was violently attacked by something or someone pretty horrible. There are parts of bodies strewn about and signs that the fence was attacked from the outside. Glenn points out that it doesn’t matter where they go now. Though it seems like a hopeless response, it’s just a realistic one, because the world they live in now is filled with evil and danger no matter where they go. Michonne says that they need to go to Washington. Perhaps even if Eugene didn’t have a cure, there could be help in DC. They hear Noah’s scream and run to save him from the walkers who have him tangled in a hammock. Oh Noah, we love you, but you are truly useless. We see the same scenes of the countryside from the start of the episode. Tyreese is still waiting for help, bleeding to death. Beth is singing the Jimmy Cliff song “Struggling Man.” Bob, Beth, Lizzie, and Mika are all there trying to reassure him that it’s OK; he doesn’t want to be a part of things, that it’s better this way. His hallucinations continue. Rick, Glenn, Michonne, and Noah finally arrive. They hold down Tyreese as Michonne uses her sword to chop off his infected arm. They scramble to get him to the car as Tyreese loses blood through his amputated arm. They struggle to carry Tyreese, fighting walkers along the way. They seem unusually frantic and disorganized. Though they are normally portrayed as swashbuckling through dangerous situations, here they clumsily stumble and stop, dragging and dropping Tyreese, and getting stuck along the way. Hallucination Bob tells us, “It went the way it had to. It was always goin’ to.” Once they finally get to their vehicle and get it started, the tires spin in the mud. When Rick finally gets them moving, they ram the abandoned truck in front of them. The back of the truck opens and walker body parts with carvings on their foreheads roll all over the windshield. They finally, frantically, drive away. 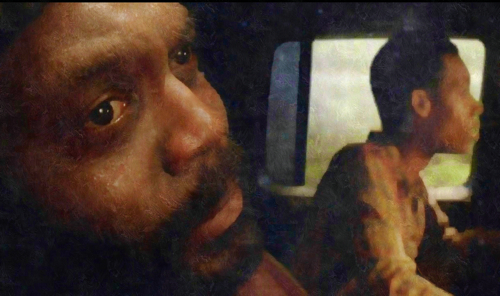 In the car, the girls and Beth appear to Tyreese again, telling him, “It isn’t just okay. It’s better now.” We hear the newscaster still talking about the increasingly violent news and Tyreese mumbles, “Turn it off.” Bob asks him, “You sure?” and, as the news ends, Tyreese closes his eyes. 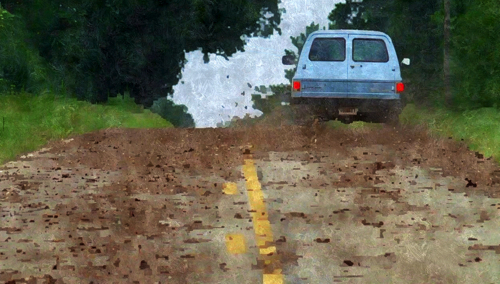 We see the vehicle come to a stop in the road, and the desperate travelers pour out, mourning the loss of Tyreese. 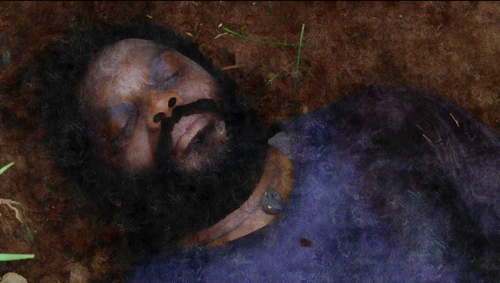 The episode ends with the same funeral it began with, but now we know that it’s a service for Tyreese, not Beth. After Tyreese’s sister Sasha halfheartedly throws some dirt on the burial place, Rick picks up the shovel, and in hurried and frustrated way, fills the grave. We continue to hear the digging through the end of the credits. “What Happened and What’s Going On” has a lot of beautiful imagery and tells an interesting story. There is a lot of death in The Walking Dead. Therefore taking some time to explore the psychological process that Tyreese goes through while dying reminds the viewer how meaningful each life and each death is. 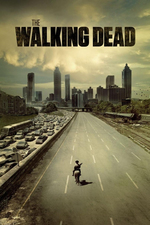 Just as the characters on The Walking Dead face the danger of becoming immune to widespread death and terrible violence, the audience also risks becoming emotionally unaffected by the loss of the The Walking Dead characters.This episode helped us to take a step back in order to consider more deeply both the lives and the deaths of these characters. It’s fitting for a character like Tyreese to provide this service, for the sake of the audience, though his death. The loss of Beth and future goals, compounded by finding Noah’s community ransacked, reinforces that the group is at a crossroads. The hopelessness of what they are finding, both on the road and within communities like the hospital, only reinforces the how desperate and brutal life has become. We don’t love it when television shows aim to misdirect their fans, as The Walking Dead did both in the previews in the start of this episode, because sometimes it seems like certain shows are more invested in being clever and tricking the viewer than contributing to the storyline (we mean you Steven Moffat!). Yet, the sadness and frustration we felt at the start of the episode in conjunction with Beth’s death, helped establish a sense of loss throughout the episode. Tyreese’s unexpected death just after losing Beth reminds us that these characters live in a world filled with senseless violence and cruelty. It shows us why they need some kind of hope in order to carry on. And, it tells us why it’s so incredibly difficult for someone like Tyreese, who values meaning and purpose, to live in this world. The ghostly hallucinations of “What Happened and What’s Going on” remind us that just this season, they lost Lizzie, Mika, Bob, Beth, and now Tyreese. We are hoping the rest of the group will stay together on the road to Washington, because despite their losses, DoGMaTiC JAM CRiNGERS (last time, we promise, but it’s kind of addictive) still have each other. It’s clear from the previews that the last 100 miles to Washington won’t be easy, but nothing is ever easy with the The Walking Dead. Of the dead to appear, I’m a bit surprised we didn’t see David and especially Karen, given how much Tyreese cared for her, but it may have been an oversight. Also, when the ghosts appear in the car…Beth isn’t keeping her eyes on the road. At all. She could have crashed that ghost car. THe girls made creepy ghost hallucinations somehow. They were surprisingly horror movie-eque, especially when you could see the blood on Lizzie’s forehead. Agreed, though I’d have to say I was more disturbed by the sight of Beth playing the guitar with a bullet in her head without a care in the world.